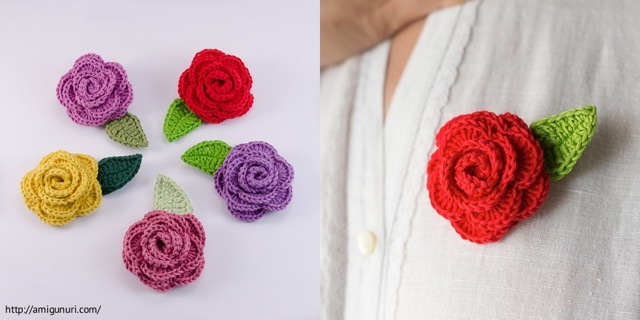 To celebrate Spring, a rose brooch. You have it in two sizes. 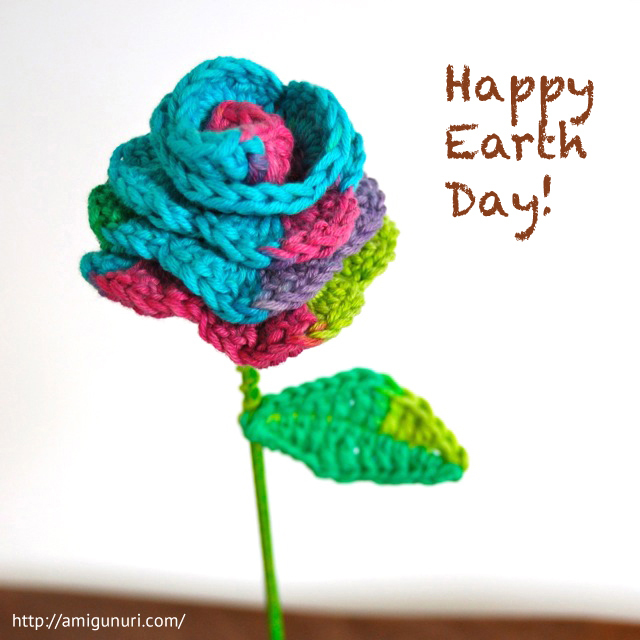 I crocheted them with different color of cotton. Choose the one you like. 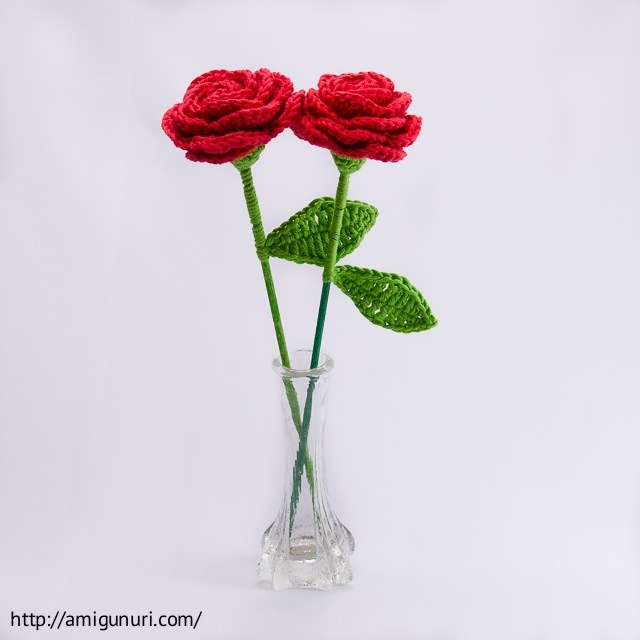 If you want a different color or prefer a rose with stem, contact me. 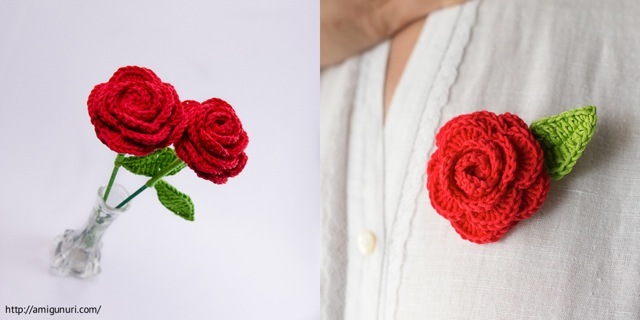 To celebrate Mother’s Day, a rose brooch. You have it in two sizes. 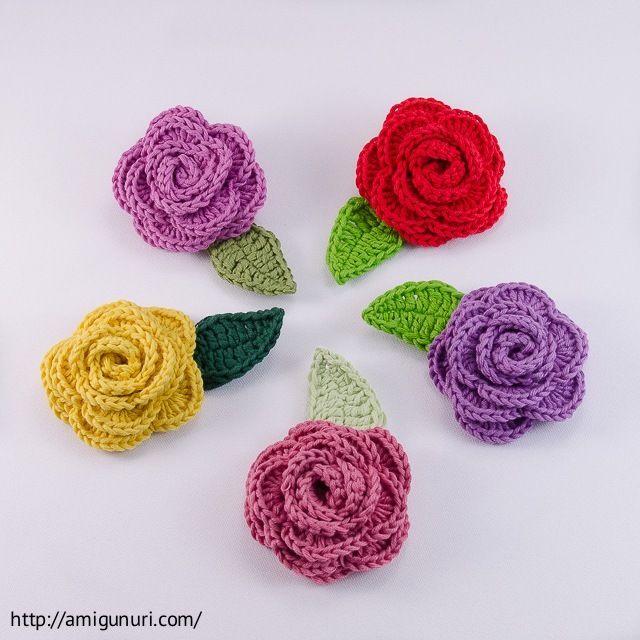 I crocheted them with different color of cotton. Choose the one you like. If you want a different color or prefer a rose with stem, contact me. Until Sunday, May 5, roses will be cheaper.